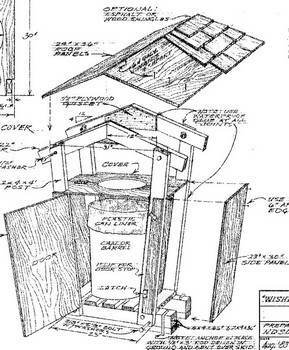 Build a corral for your garbage cans with free trash can holder plans. These plans are simple to build and are great as beginning woodworking projects. Select a plan that suits your needs and customize it to hold all your trash receptacles. Paint or stain your project to blend with your home's exterior finish for a safe and effective solution that won't be an eyesore. Choose a whimsical plan that looks like a wishing well or use a latticework plan to add eye appeal. Recycling centers are popular. 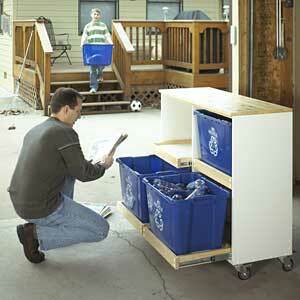 Using the simple plans provided, build a station to hold plastic bins that makes sorting fast and easy. Another unit combines the security of rubbish storage with the convenience of a woodbin. This multipurpose lean-to conceals trash and fireplace wood in one secure and waterproof unit. Here is a plan for a recycling center that is set on casters and holds four large plastic bins to help sort out recycled materials. 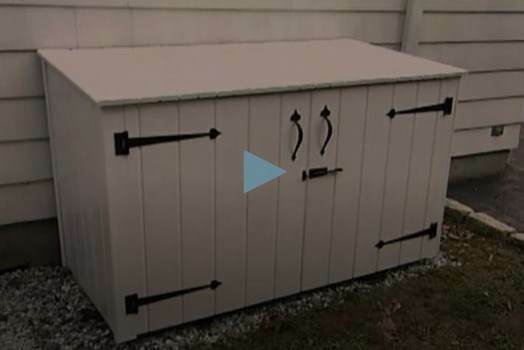 Build this attractive outdoor trash enclosure that has a secured tamper proof lid. This single trash can holder can also make an attractive yard ornament. And if your wishing well is ever not needed as a trash can holder, it can be used as a flower planter or just a wishing well. Chairs and benches, swings and playhouses. Browse all the woodworking plans from the top vendors.